Though yoga has been a particularly popular fitness trend over the last decade, many of its practitioners realize that it has a number of shortcomings. Some simply accept them and just go to yoga classes without doing much else, which often leads to an incomplete fitness program. However, as the popularity of the Gyrotonic Expansion System grows, people are finding that both Gyrotonics and Gyrokinesis are not only an excellent way to get the relaxation and flexibility that yoga offers, but also improved strength from head to toe. If you’ve yet to experience Gyrotonics or see the fitness method in action, check out the video below for a quick introductory demonstration of the machine and movements. 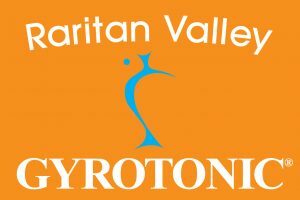 If you’re sold on the benefits and want to get started, with a Gyrotonic session or Gyrokinesis class contact Shirely Wallitsch at Raritan Valley Gyrotonic today. The studio also offers Gyrotonich teacher training for NYC and New Jersey residents, click here for more info. Other than crunches or sit ups, most people don’t pay enough attention to the body’s core. This is particularly problematic since having a fit core helps achieve physical gains for the rest of the body as well. Most of the sets offered in Gyrotonics activate and strengthen the core, which ends up building confidence in practitioners. People who are just starting out with the Gyrotonic expansion system often remark that they didn’t realize just how inflexible they are. This is doubly true for those who have a history of fitness under their belts as running and weight lifting, while great for their individual goals, end up tightening any joints that don’t get shown attention. Gyrotonics will get your entire body moving and reaching levels of flexibility you never thought would be possible. One of the most beneficial traits that comes with doing Gyrotonics is that it relaxes people as they complete the workout session. The Gyrotonic exercise program has its sets fluidly move from one into another in a rhythmic and circular pattern, which makes for an incredibly relaxing experience. To get started with Gyrotonics sessions or to receive Gyrotonics teacher training in the NYC or NJ area, contact Shirley Wallitsch at Raritan Valley Gyrotonic today and start receiving these major health and fitness benefits.